Coral reefs are truly a beautiful piece of our world, and yet they are also extremely useful. The reefs are home to a large and varied group of plants and animals, and are in fact the most diverse of all ocean ecosystems. Twenty five percent of all ocean species rely on coral reefs for food and shelter, so it comes as no surprise that our oceans are in serious trouble if they are unable to keep growing. A new study conducted by a team of climate scientists and coral ecologists from the United Kingdom, Australia and Panama discovered that pollution from fine particles in the air can shade corals from sunlight, which is needed for the coral to grow. These particles are often the result of burning coal or volcanic eruptions. 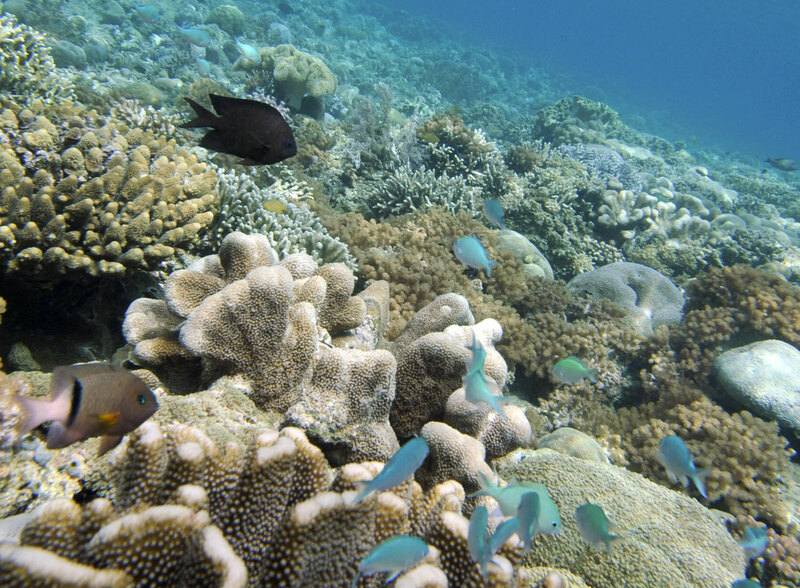 "They are believed to be vulnerable to climate change and ocean acidification, but ours is the first study to show a clear link between coral growth and the concentration of particulate pollution in the atmosphere," Lester Kwiatkowski, a Ph.D student of mathematics at the University of Exeter and lead author of the study, said in a statement. While the coral does subsist under the water, the scientists found that they are responding to the changes in pollution in the atmosphere. The coral itself is made up of simple animal cells, but they need the photosynthetic algae for energy and nutrients. Essentially they need to be able to see the sun to stay alive, and the pollution is blocking their solar source. "Particulate pollution or 'aerosols' reflect incoming sunlight and make clouds brighter. This can reduce the light available for coral photosynthesis, as well as the temperature of surrounding waters," explains Dr. Paul Halloran of the Met Office Hadley Centre in a statement. "Together these factors are shown to slow down coral growth." The authors used data from within the coral skeletons, from observations, statistical modeling and climate model simulations. They found that coral rates were affected by volcanic aerosol emissions in the early 20th century and by human aerosol emissions in the late 20th century.